Relational database systems (RDBMSs) pay a lot of attention to data consistency and compliance with a formal database schema. New data or modifications to existing data are not accepted unless they satisfy constraints represented in this schema in terms of data types, referential integrity etc. The way in which RDBMSs coordinate their transactions guarantees that the entire database is consistent at all times, the well-known ACID properties: atomicity, consistency, isolation and durability. Consistency is usually a desirable property; one normally wouldn’t want for erroneous data to enter the system, nor for e.g., a money transfer to be aborted halfway, with only one of the two accounts updated. Yet, sometimes this focus on consistency may become a burden, because it induces (sometimes unnecessary) overhead and hampers scalability and flexibility. RDBMSs are at their best when performing intensive read/write operations on small or medium sized data sets or when executing larger batch processes, but with only a limited number of simultaneous transactions. As the data volumes or the number of parallel transactions increase, capacity can be increased by vertical scaling (also called scaling up), i.e. by extending storage capacity and/or CPU power of the database server. However, obviously, there are hardware induced limitations to vertical scaling. However, RDBMSs are not good at extensive horizontal scaling. Their approach towards transaction management and their urge to keep data consistent at all times, induces a large coordination overhead as the number of nodes increases. In addition, the rich querying functionality may be overkill in many big data settings, where applications merely need high capacity to ‘put’ and ‘get’ data items, with no demand for complex data interrelationships nor selection criteria. Also, big data settings often focus on semi-structured data or on data with a very volatile structure (think for instance about sensor data, images, audio data, and so on), where the rigid database schemas of RDBMSs are a source of inflexibility. None of this means that relational databases will become obsolete soon. However, the ‘one size fits all’ era, where RDBMSs were used in nearly any data and processing context, seems to have come to an end. RDBMSs are still the way to go when storing up to medium-sized volumes of highly structured data, with strong emphasis on consistency and extensive querying facilities. Where massive volumes, flexible data structures, scalability and availability are more important, other systems may be called for. This need resulted in the emergence of NoSQL databases. Often rooted in the open source community, the characteristics of the systems developed to deal with these requirements are very diverse. However, their common ground is that they try to avoid, at least to some extent, the shortcomings of RDBMSs in this respect. Many aim at near linear horizontal scalability, which is achieved by distributing data over a cluster of database nodes for the sake of performance (parallelism and load balancing) and availability (replication and failover management). A certain measure of data consistency is often sacrificed in return. A term frequently used in this respect is eventual consistency; the data, and respective replicas of the same data item, will become consistent in time after each transaction, but continuous consistency is not guaranteed. Combined with the fact that RDBMSs do provide strong support for transactionality, durability and manageability, quite a few early adopters of NoSQL were confronted with some sour lessons. See for instance the FreeBSD maintainers speaking out against MongoDB’s lack of on-disk consistency support, Digg struggling with the NoSQL Cassandra database after switching from MySQL and Twitter facing similar issues as well (which also ended up sticking with a MySQL cluster for a while longer), or the fiasco of HealthCare.gov, where the IT team also went with a badly-suited NoSQL database. It would be an over-simplification to reduce the choice between RDBMSs and NoSQL databases to a choice between consistency and integrity on the one hand, and scalability and flexibility on the other. The market of NoSQL systems is far too diverse for that. Still, this tradeoff will often come into play when deciding on taking the NoSQL route. We see many NoSQL vendors focusing again on robustness and durability. We also observe traditional RDBMS vendors implementing features that let you build schema-free, scalable data stores inside a traditional RDBMS, capable to store nested, semi-structured documents, as this seems to remain the true selling point of most NoSQL databases, especially those in the document store category. 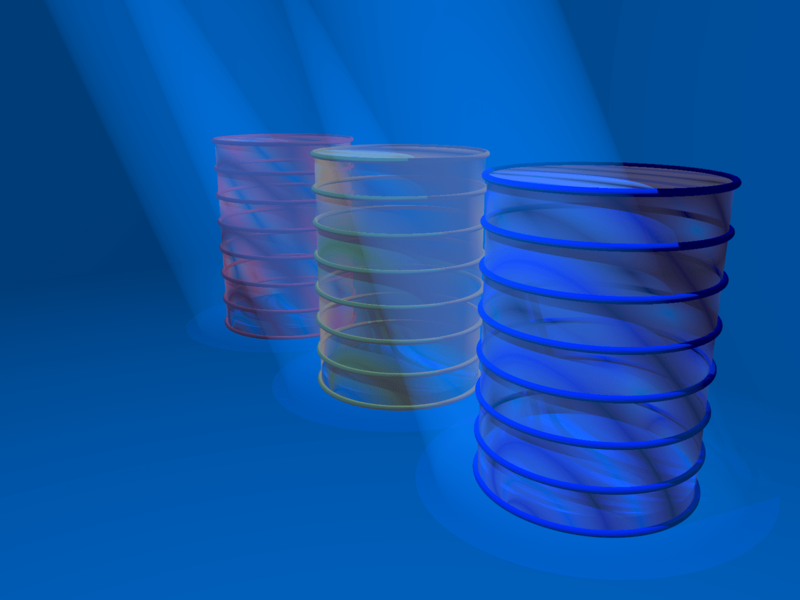 Some vendors have already adopted “NewSQL” as a new term to describe modern relational database management systems that aim to blend the scalable performance and flexibility of NoSQL systems with the robustness guarantees of a traditional DBMS. Expect the future trend to continue towards adoption of such “blended systems”, except for use cases that require specialized, niche database management systems. In these settings, the NoSQL movement has rightly taught users that the one size fits all mentality of relational systems is no longer applicable and should be replaced by finding the right tool for the job. For instance, graph databases arise as being “hyper-relational” databases, which makes relations first class citizens next to records themselves rather than doing away with them altogether. Graph databases express complicated queries in a straightforward way, especially where one must deal with many, nested, or hierarchical relations between objects. The below table concludes this article by summarizing the differences between traditional RDBMSs, NoSQL DBMSs and NewSQL DBMSs. Seppe vanden Broucke works as an assistant professor at the Faculty of Economics and Business, KU Leuven, Belgium. His research interests include business data mining and analytics, machine learning, process management and process mining. His work has been published in well-known international journals and presented at top conferences. He is also author of the book Beginning Java Programming (Wiley, 2015) of which more than 4000 copies were sold and which was also translated in Russian. Seppe’s teaching includes Advanced Analytics, Big Data and Information Management courses. He also frequently teaches for industry and business audiences. See seppe.net for further details.